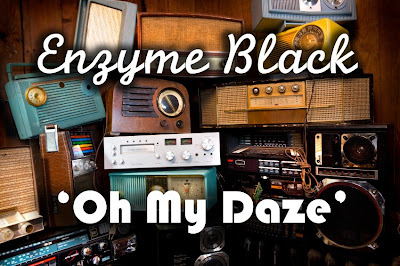 Enzyme Black Recordings: OH MY DAZE! It's out..
OH MY DAZE! It's out..
EBR get eclectic with this bassline driven carnival banger 'Oh My Daze' indeed! Enzyme Black rinses out a bassline driven banger. 'Oh My Daze' indeed - Carnival comes early! Featuring warm, vinyl infused chords with reversed brass stabs and chunky as hell, broken beat-esque drum beats. Already supported by top eclectic jocks such as Kev Beadle, Benji B, Orin Walters (Afronaught), Simbad and more.